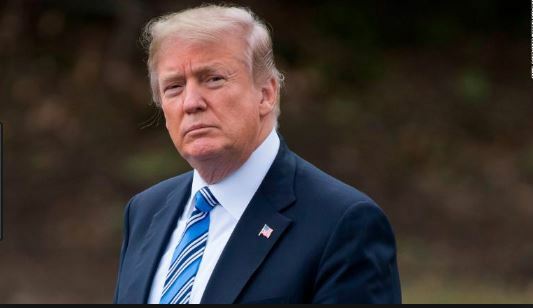 Washington, February 24: Days after the dastardly terror attack on CRPF personnel in Pulwama, Unites States of America President Donald Trump on Friday called the tensed situation between India and Pakistan as ‘Very Very Bad’. He pointed out that due to the terror attack, the situation in Kashmir and the neighbouring areas have become ‘dangerous’. The reaction of the United State’s President comes a day after the United Nations Security Council issued a statement condemning the heinous terror attack on CRPF personnel in Pulwama. Addressing the media from Oval office on Friday, Trump said, as quoted by ANI, “There’s a terrible thing going on right now between Pakistan and India. It’s a very very bad situation, and it is a dangerous situation between the two countries. We would like to see it stop. Lot of people were just killed.” Pakistan Army Chief General Qamar Bajwa Visits LoC in PoK, Asks Troops ‘to be Ready to Face Any Eventuality’. Earlier, staging a protest against the terror strike by Jaish-e-Mohammed militants in Kashmir on February 14, more than hundred US-based Indians protested outside the Pakistan consulate in New York. Also, the Indian community came together in protest of Pulwama attack in New Jersey and held a candlelight vigil in the Royal Alberts Palace in Woodbridge on Friday night. During the address, Trump stated that his administration was talking to authorities in both countries and hoped hostilities would soon end in the Valley. He even said that he had stopped the financial aid to Pakistan as it was taking very strong advantage of the United States under other presidents. Imran Khan Asks Pakistan Army to ‘Respond Decisively’ to Any Indian Aggression. With the United Nations Security Council condemning the terror attack in Pulwama and issuing the statement for the first time, problems for Pakistan has increased. It is to be known that the United Nations considers Jammu and Kashmir a ‘disputed territory’ and has not been able to come to a consensus on the definition of ‘terrorism. Due to this, the UNSC has never been involved in past terrorist attacks in the valley. Pulwama Attack Fallout: Jaish-e-Mohammed Headquarter Seized by Pakistan as international Pressure Mounts. Meanwhile, with international pressure pouring in, Pakistan has taken action to take control of a mosque and seminary complex in Bahawalpur – believed to be the headquarters of banned Jaish-e-Mohammed.